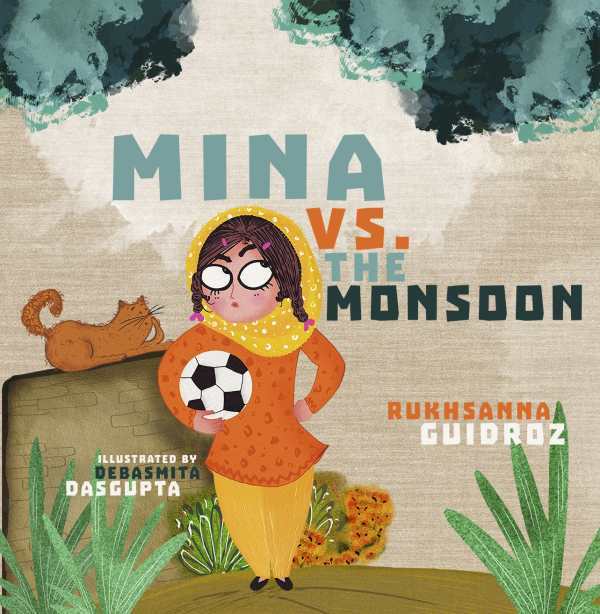 Heavy monsoon rains keep a young girl stuck indoors when she would much rather be out playing soccer. Though the weather is dismal, Mina is a ray of sunshine in a bright shalwar kameez, anklets tinkling and henna decorating her hands as she amuses herself by trying to stop the downpour with drums, dance, and a bit of magic, rich in the culture of India. A glossary of Urdu and Hindi words supplements the text.